Today Hibiscus celebrated the 25th Anniversary of one of our most prominent employees. Adrian Wilde, our current Operations Manager, joined Hibiscus on a 6 month contract back in 1992. He started employment at Hibiscus as an engineer on the print-floor and worked on the construction of two of our hand -built presses. Through the years he’s had many different titles and responsibilities and presently he manages the day-to-day running of the factory and ensures that everything is kept on track. Adrian was also instrumental in gaining our BS5609 and ISO14001 Quality and Environmental accreditations. 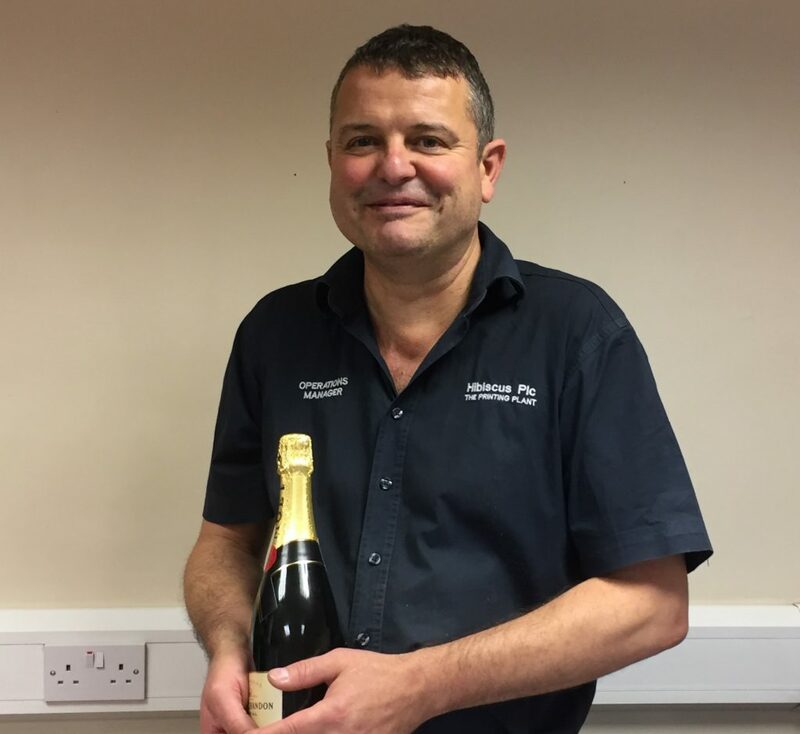 Hibiscus has many employees who are long-standing experts in their field and adrian is the sixth Hibiscus employee in the last couple of years to have reached the 25 year milestone. The high number of 25 year anniversaries at Hibiscus is a positive reflection of past accomplishments and also serves to communicate to our employees, customers and the competition that our company has survived for a long time and intends to be around for many years to come.